Never before has a gym fitness fan been so versatile! 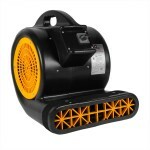 The 20" fan can be aimed in any direction to move air around as you need it to. The head stays static and will not oscillate. It is a great addition to any gym where you have people working out and building up a sweat. At 3670 CFMs, this fan can effieciently cool down any individual, or help move fresh air around your facility. 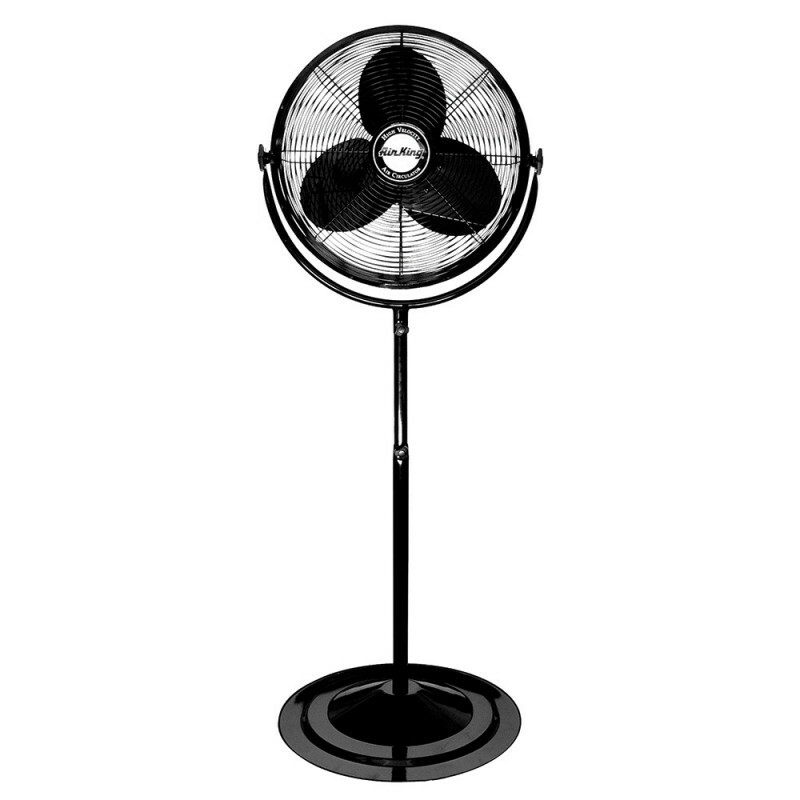 Take a look at our complete line of pedestal fans for more gym and fitness center options. If you're looking for something a little more industrial, please feel free to take a look at our full selection of drum & barrel fans. Moves fresh air around a work out facility or fitness gym to cool down people and help eliminate odors. Pulls only 1.6 amps under a full load, so multiple fans could be run off of a standard 15 amp circuit. 20" diameter fan is fully rotational so the air stream can be pointed in any direction. Works well in fitness centers, health care, warehouses, and many more settings. Large fan impeller maximizes air flow with greater efficiency and cooling. Fan blades sit on top of a large pedestal, so the fan can be placed behind something to hide the base, and it will still cool your entire area. Great fan, I've been using this for the last couple of years and recently just purchased a second. No complaints at all. This is a review for the 20" Stand Up Pedestal Fan for Fitness Gyms - 3670 CFM.